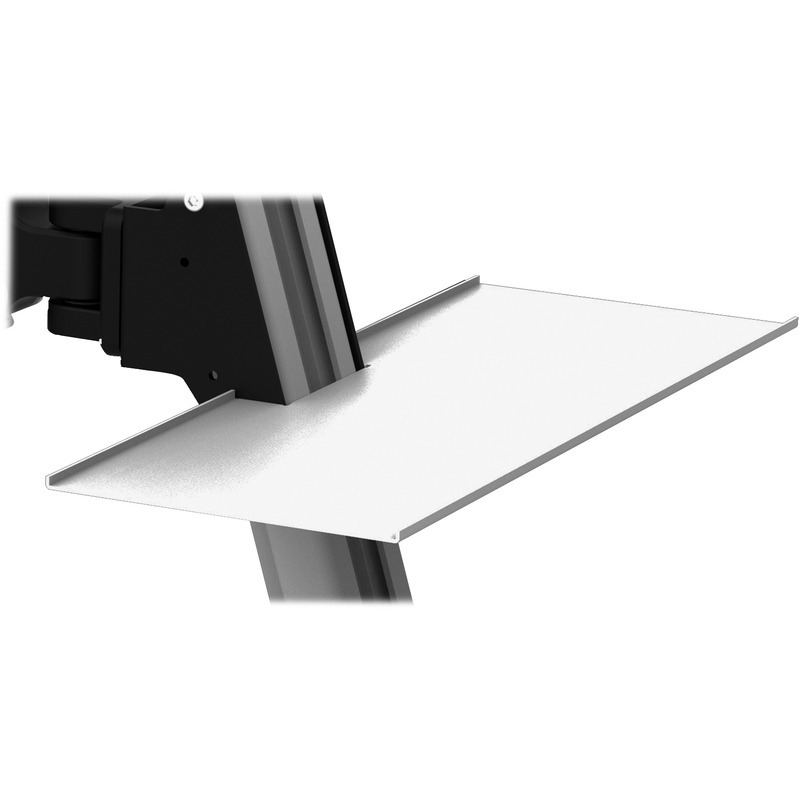 Steel tray installs above the keyboard tray of your Lorell Ergonomic Floating Desk. It is great for holding your cell phone, coffee, pens, calculator and more. This additional surface offers more organization for your ergonomic arrangement.